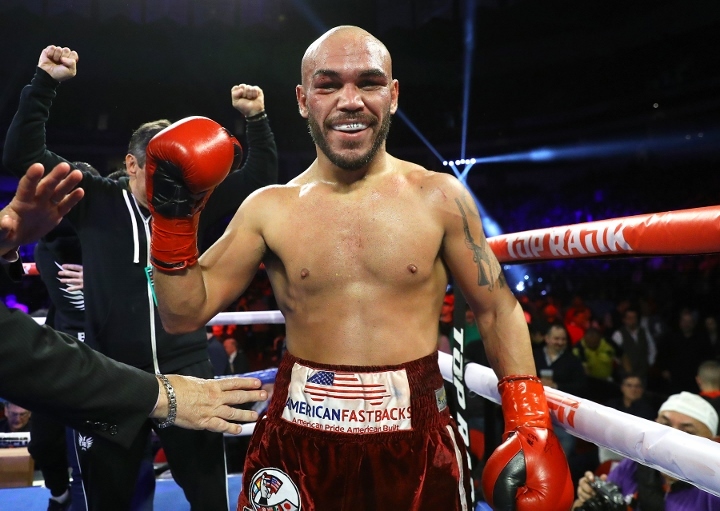 It’s a new weight, but the same Ray Beltran. 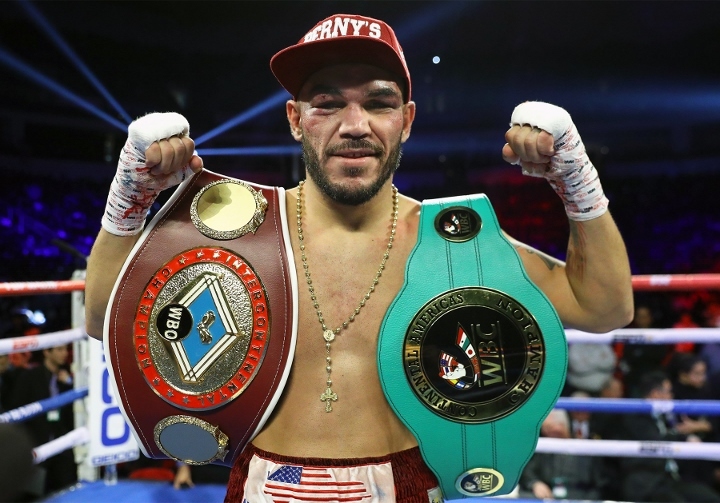 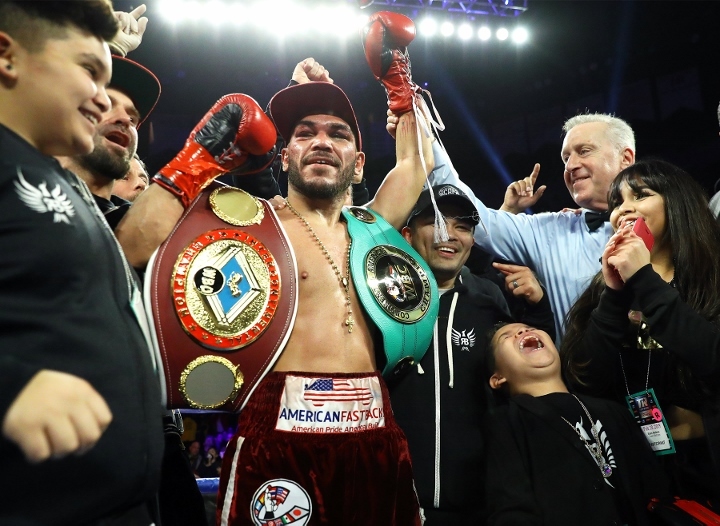 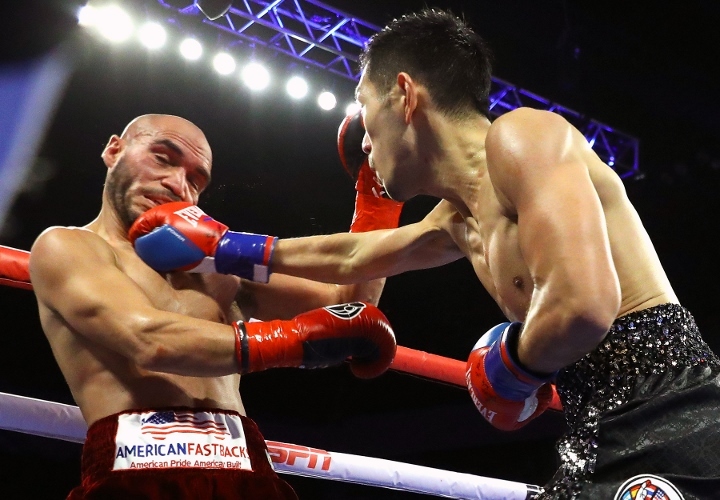 The former lightweight world champion overcame a tough battle from Hiroki Okada to score a ninth-round knockout and win the vacant WBC Continental Americas and WBO Intercontinental 140-pound belts. 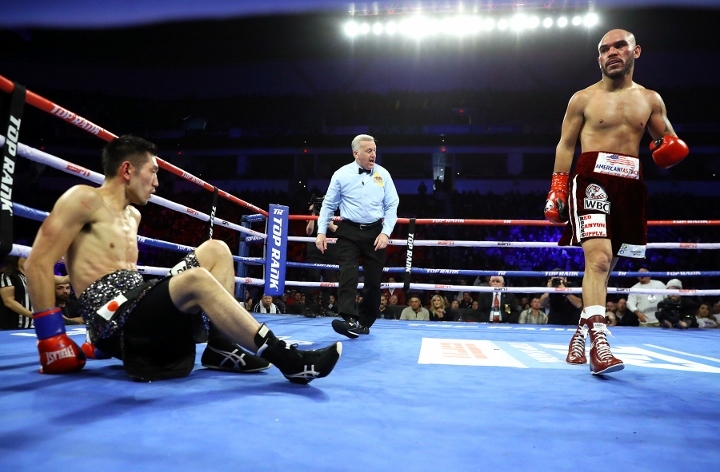 (photos by Mikey Williams). 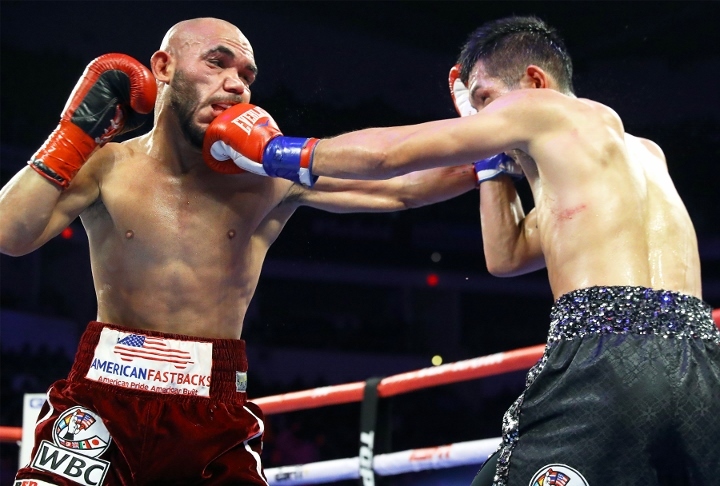 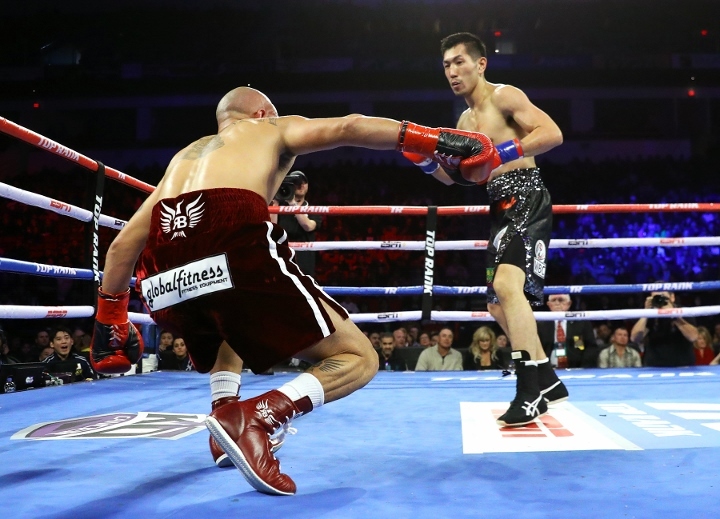 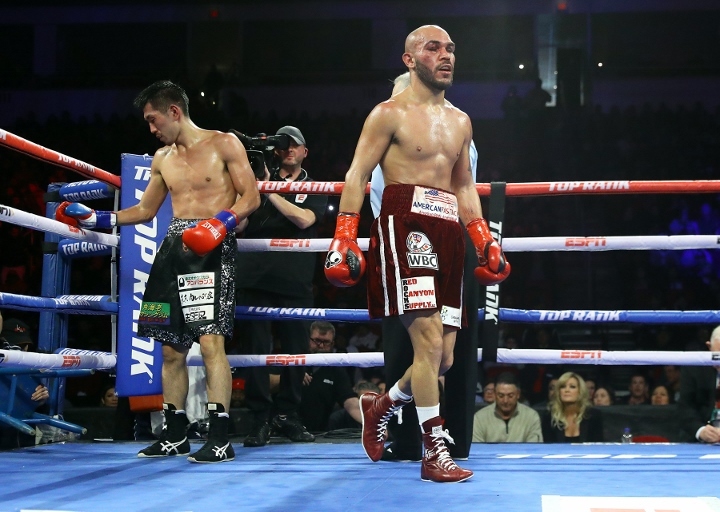 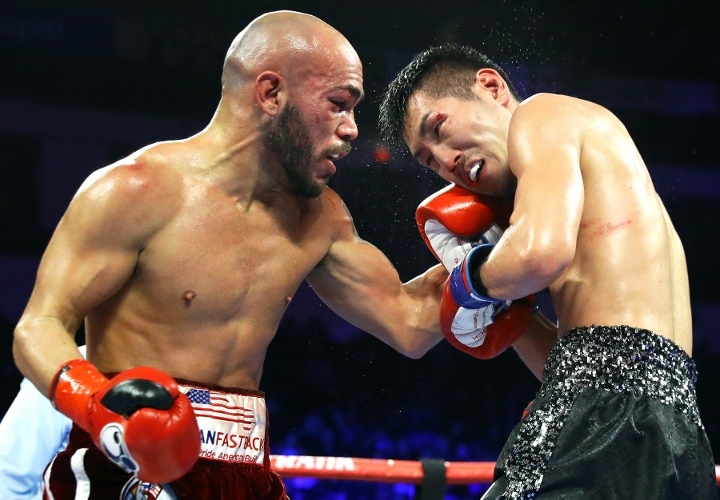 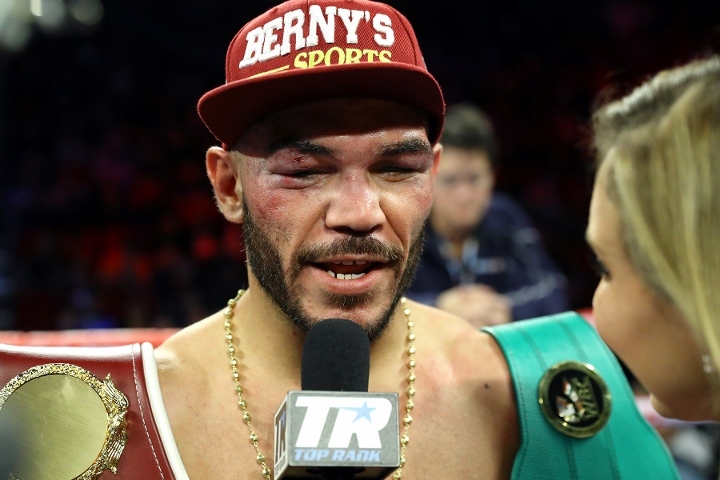 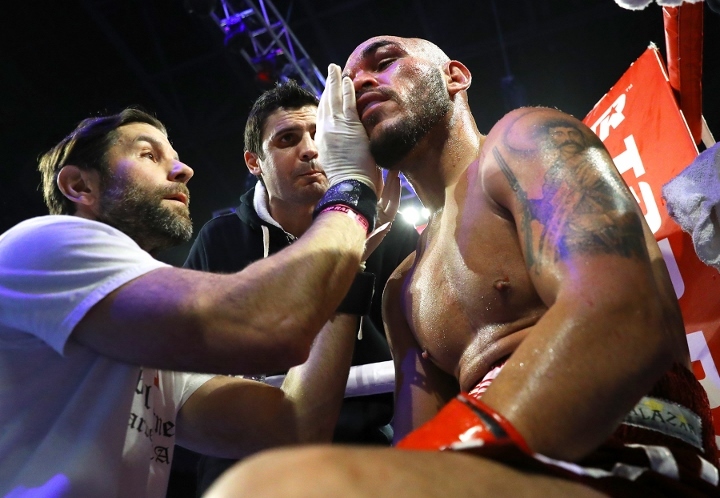 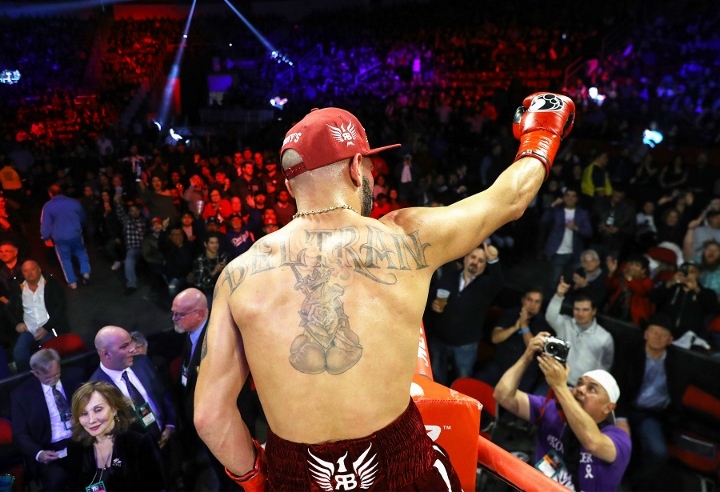 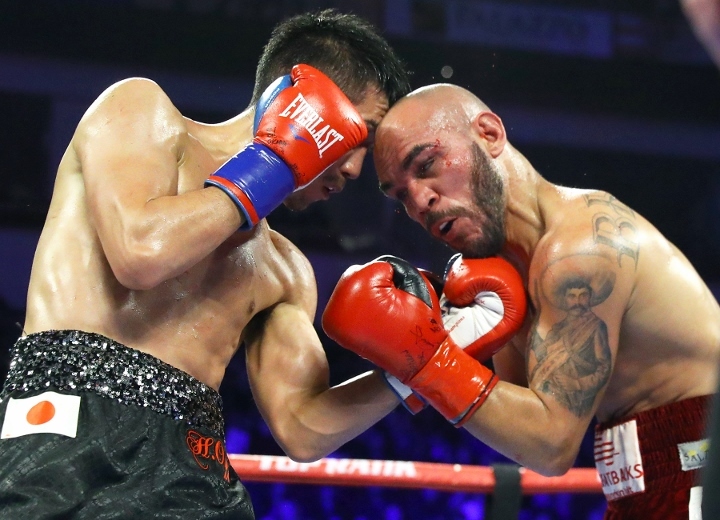 Beltran (36-8-1, 22 KOs) lost his WBO lightweight world title to Jose Pedraza back in August, but put himself in the thick of the 140-pound title picture with his performance against the previously unbeaten Okada.